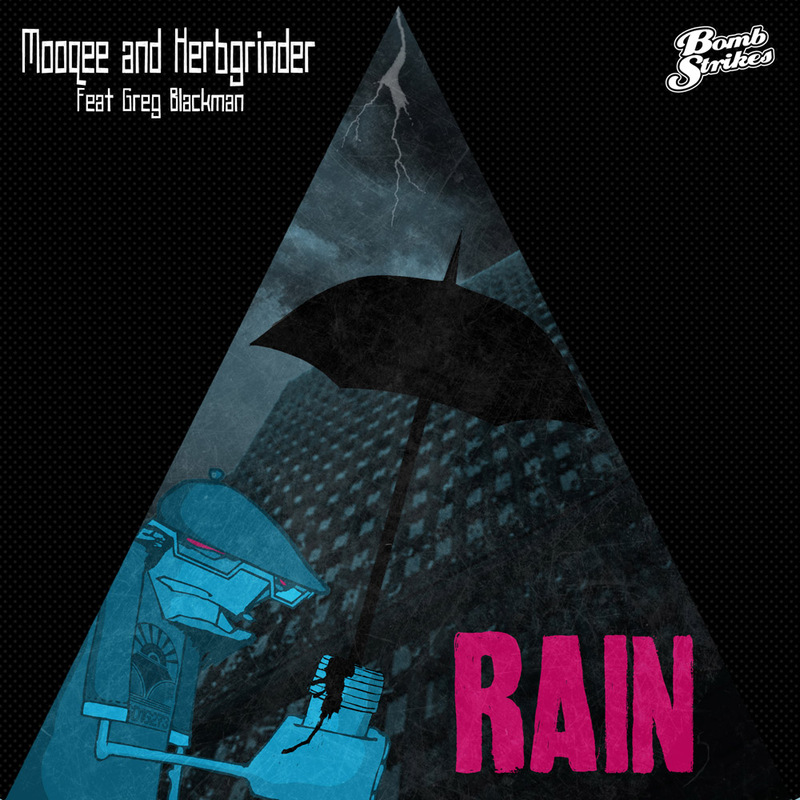 Now we all know that Mooqee is pretty tasty when conjouring up bassline anthems in the Bombstrikes hidden undergroud volcano base, but when he joins forces with Herbgrinder the results are sure to be nothing short of cosmic! 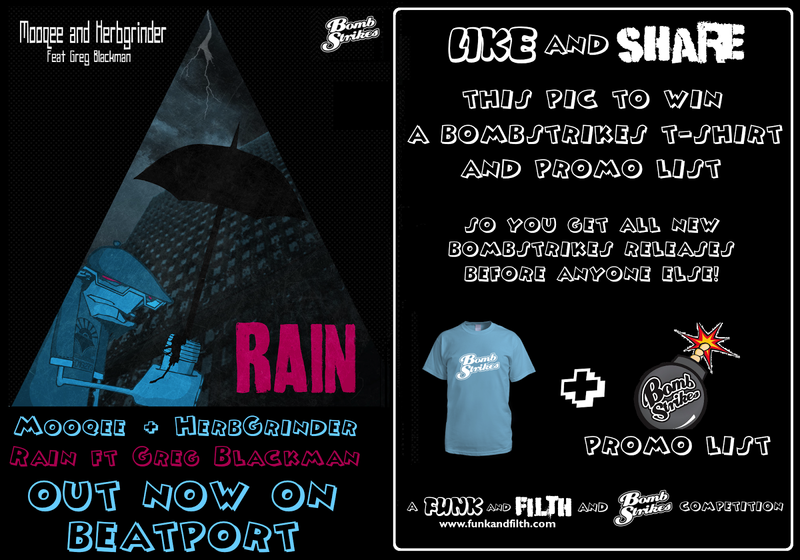 Continuing the widely-welcomed resurgence in Drum n Bass, these two have both thrown the best of their abilities into their creation of Rain, which opens with the glorious vocals of Greg Blackman, before tipping the listener off a cliff into a rolling sea of 175bpm drum beats and sumptuous, enveloping bassline! Have a listen to all three versions of Rain in the mashed-up promo minimix right here, we've supplied links to buy on Beatport and Juno too. 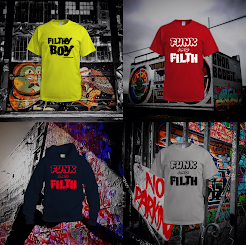 But we are Funk and Filth, and we like to offer you more on top of just the best new releases! So we've spoken to the Bombstrikes overlords and they've offered up a quality prize for one of you funky, filthy fetishists out there . . . Win a Bombstrikes T-Shirt and a free subscription to the Bombstrikes promo list . . . which means you will be sent all the new Bombstrikes releases before they are made available for the rest of the discerning public to buy! 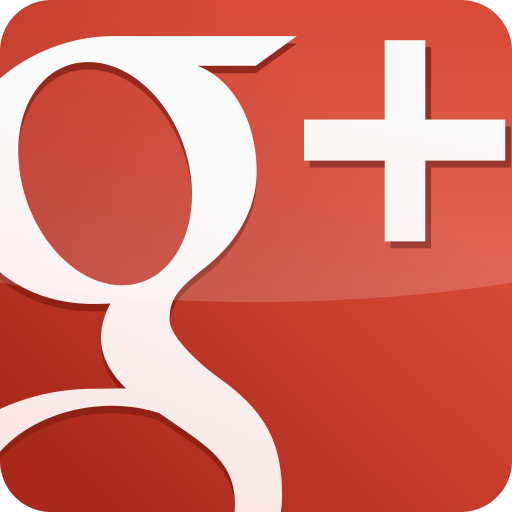 > Then LIKE AND SHARE the picture on Facebook to enter the competition! > That's it, that's all you need to do, just make sure your SHARE is set to PUBLIC! - Winner chosen at random from all entries received. 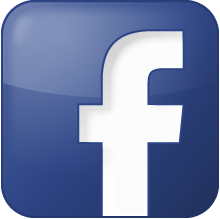 Once chosen, the winner will be notified via Facebook that they have won one Bombstrikes T-shirt and their name will be added to the Bombstrikes promo list for advance access to all future releases. Breakbeat. House. Electro . . . Alex Dias a.k.a Sychosis is the master of them all, with production and remix skills that can create head-bobbing bangers without even breaking a sweat! 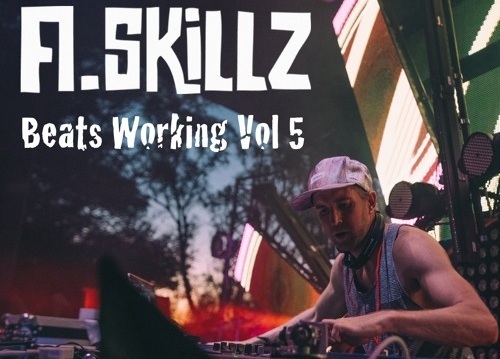 Since he put together his two exclusive Funk and Filth Re-Funks for us (free download links further down this post) he's been busy in the studio, industriously sculpting the following masterpieces from giant blocks of the purest bass funk! Check out his two new tracks below, Structure and Form and Love and Happiness, including a breaks remix (our favourite of the lot!) from the downright naughty Dylan Sanders! Have a listen to the quality Structure and Form EP below, and click through to Juno / Beatport if you fancy getting hold of any of these nuggets!! This being Funk and Filth, the Sychotic dude from California has also provided some more of his bassline monsters as FREE DOWNLOADS further down this post . . . help yourselves!! And now for some FREE DOWNLOADS from Sychosis!!! Two exclusive free Funk and Filth Re-Funks from Sychosis! and there's plenty more free goodness right here . . .
Well would you look at that, it's only those nice Fisso & Spark fellas arsing around with their ever-present Neuron keyboard, they've probably just been making some tasty beatcakes for us to chomp on or something! 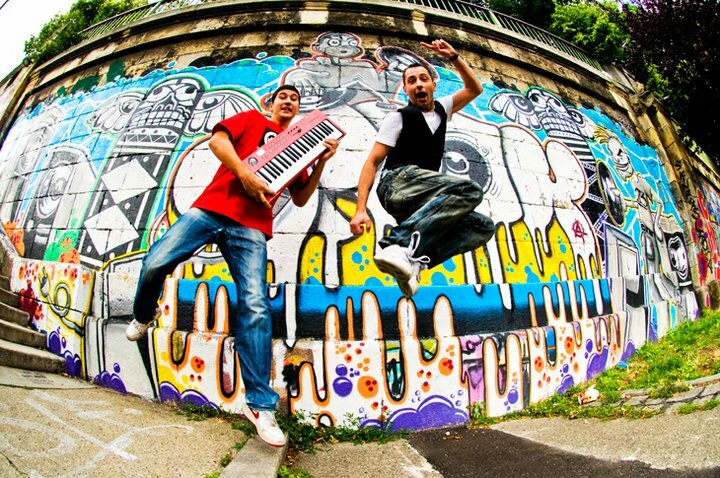 Now, when you think of an Austro-Italian combination, you might be more inclined to think of Arnold Schwarzenegger driving a Ferrari rather than one of the leading beat-making duos currently functioning on the planet! 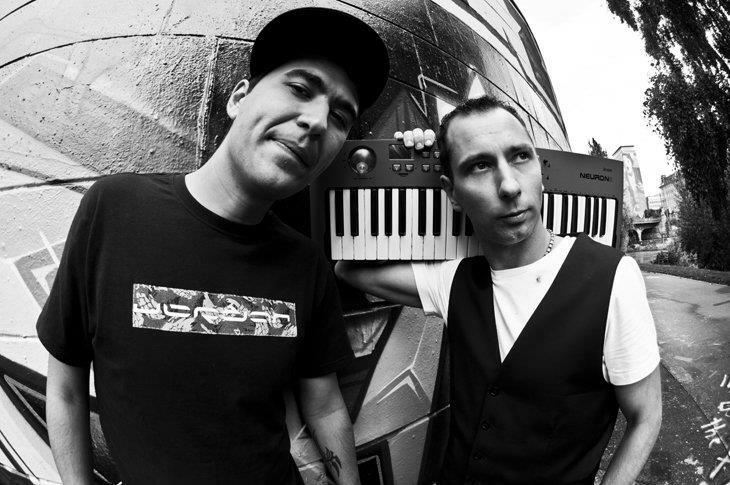 Andrea Fissore and Andy Spark are Fisso & spark (I'll let you guess which one is which), and they are currently riding high in the Breakbeat world, swiftly following up last year's 'Best New Producer' nomination, with a nomination in the 'Best Album' category at this year's Breakspoll awards - fast work by anyone's standards! Narrowly missing out on a Breakspoll gong will, I'm sure, have no ill effect on this European funk factory, and we can expect 2013 to see some awesome follow-up work to Future, which is a top notch album! 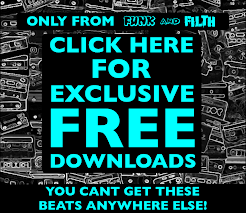 Have a listen to some of their tasty tracks below, and grab the FREE DOWNLOADS asap! Enjoy! 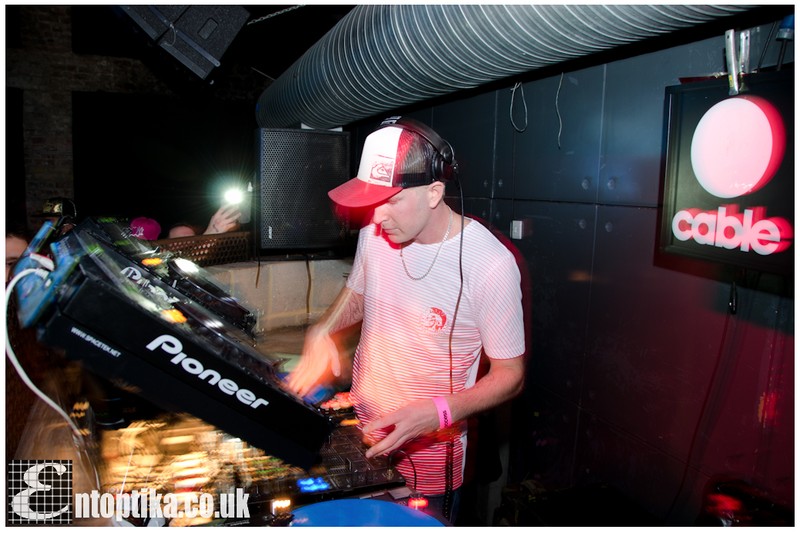 Saturday night saw the 12th Breakspoll International Breakbeat Awards in London town once again, and the all-star line-up certainly didn't disappoint! The only problem with such an awesome line-up of talent is that, being spread across 3 rooms, you are going to miss out on two thirds of all the action (I did that maths without even using a calculator! 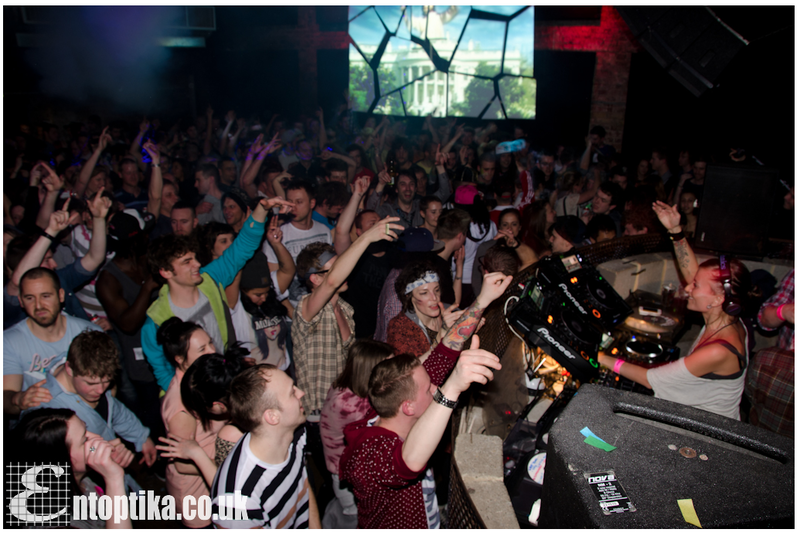 ), but from what we did catch the stand-out performances had to be from The Freestylers, A.Skillz and Lady Waks, the lovely lady celebrating scooping three awards by walking next door and annihilating the main room dancefloor! Jesse couldn't be there on Saturday to collect his award for Best Free Track, so it was down to Funk and Filth to stumble up and accept it on his behalf . . . apologies for the extreme drunkenness when collecting, perhaps starting drinking at lunchtime wasn't the best idea, but here is what Jesse would have wanted to say . . .
"I'm very honored and exhilarated at the same time to be nominated let alone win . . . . the other people in the category are and have been a huge inspiration. 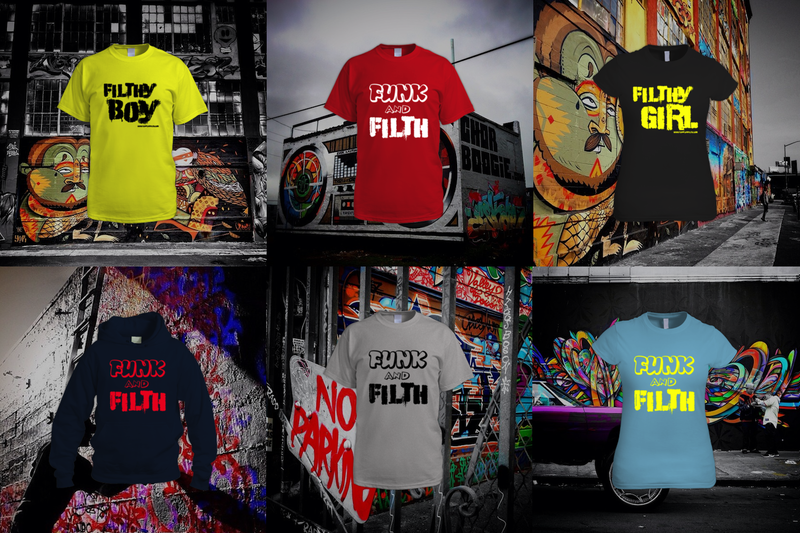 Big thanks to Funk and Filth for the creative writing and hard work in getting tunes out there. Big thanks to the fans - all the people that voted for me, it means the world to be appreciated - and most of all HUGE thanks to Prodigy and Noisia for writing an insanely sick tune to begin with!" 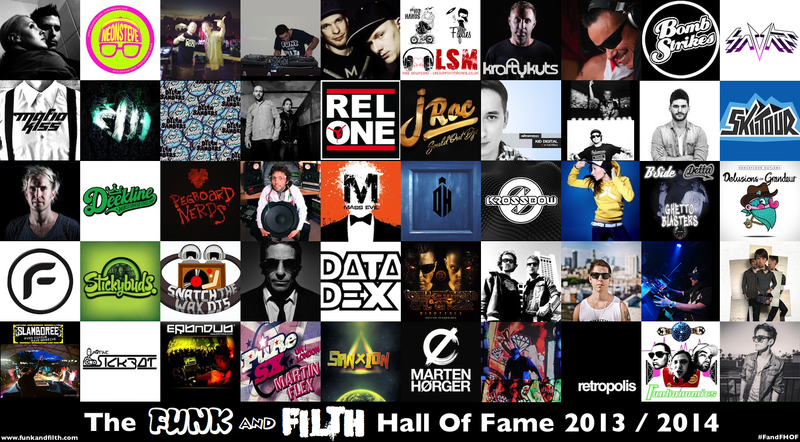 Stay tuned, we should have another brand new exclusive free Funk and Filth Re-Filth from the award-winning REL1 coming your way very soon!!! Here is the full rundown of all the winners on the night, with links to listen/download included further down wherever possible! 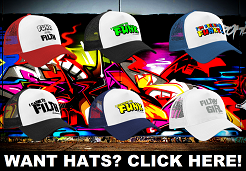 If you want more free downloady goodness, then head over to the Funk and Filth Hall of Fame for free music from the fifty funkiest and filthiest people in bass business!! 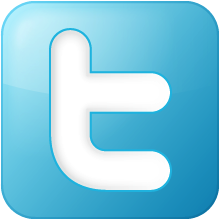 Click the picture below! But there are loads of great tracks out there that aren't free, and that are also dangerously awesome, and often well worth parting with a quid/dollar/euro or two in order to get hold of! So here is our second monthly chart of the year, rounding up the best releases of February 2013, all assembled into the player immediately below for your listening pleasure! This month's chart includes releases from Deekline, Aggresivnes, Neon Steve, Rudebrat, Pimpsoul, Dodge & Fuski, DC Breaks, Project Bassline and loads more!! We've also picked out a few of the best from our February Chart, which you can listen to in these individual players below . 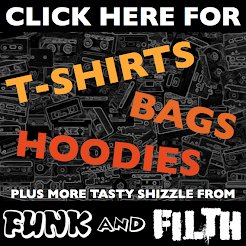 . . and don't worry, in true Funk and Filth style we've included something FREE for you to download at the bottom of this post too! Kid Panel doing the business again with another bass-fuelled remix!